Post sponsored by Youth Basketball Camps Find the Best Basketball Training Camp for your Kids. Director of “ArgoRechTour” LLC Svetlana Inyakina, convicted in the case of the collapse of the ship “Bulgaria”, is released from serving the sentence. This was reported to the agency “Interfax” in the press service of the Office of the Federal Penitentiary Service of Russia for the Republic of Chuvashia. “Svetlana Inyakina was released from custody due to the fact that the court revised the sentence in accordance with the Federal Law of 03.07.2018 FZ-186” On Amending Article 72 of the Criminal Code, “the interlocutor clarified. Earlier it was reported that Inyakina, sentenced to 9.5 years of the colony of the general regime, within the amnesty reduced the unexpired term of punishment by one third. The amnesty act was applied in honour of the 70th anniversary of the Victory. The convict served her sentence in the women’s correctional colony No. 2 in Alatyr (Chuvashia). 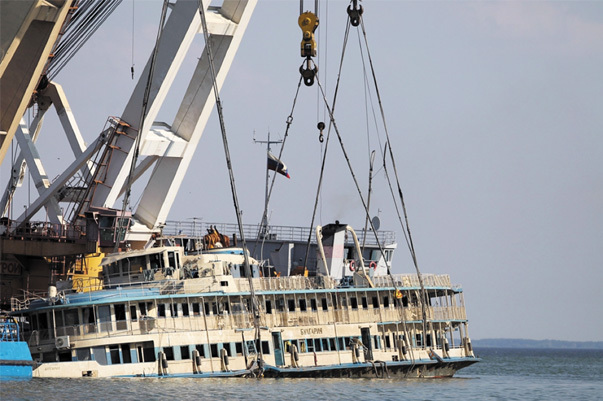 The passenger double-decker diesel engine “Bulgaria”, built in 1955 in Czechoslovakia (formerly called “Ukraine”), sank on July 10, 2011, at the Kuibyshev Reservoir in Tatarstan at a depth of 18 meters 3 km from the shore. On board there were 201 people (163 passengers and 38 crew members), 79 were saved. 122 people died, including 28 children.